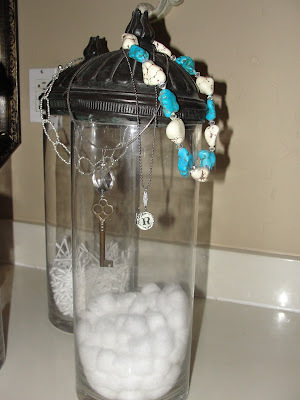 Jewelry...why not a home accessory? I found this strand of wooden beads about 5 years ago at a rummage sale and fell in love with them. Every time I wear them I get so many compliments. 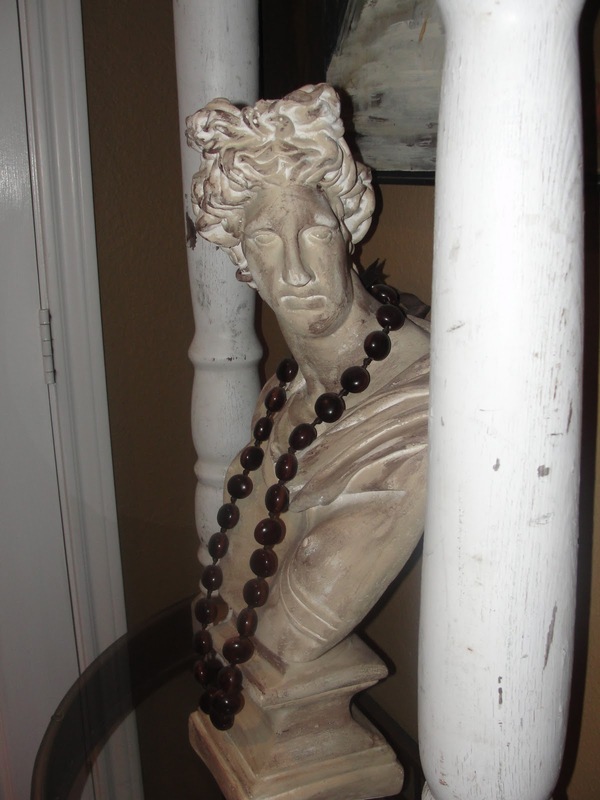 I store them around this bust that is outside my bedroom in the hallway and I think it adds some character to this grouping of items. 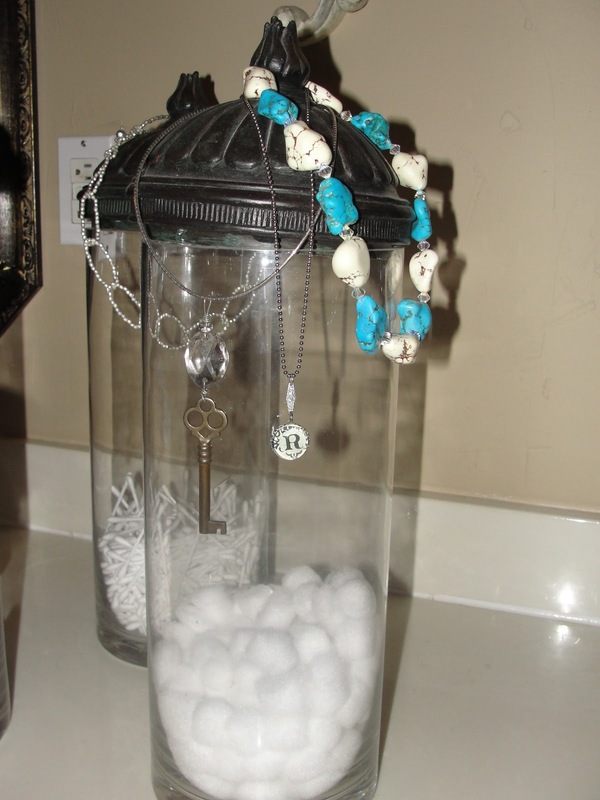 I have some tall glass jars on my bathroom counter that I store items in that I use daily (cotton balls, q-tips, etc). 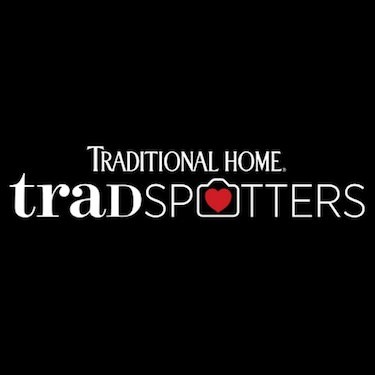 The first thing that I do when I come home after a long day working is take off all my jewelry. I became lazy and started hanging my strands of pearls and other necklaces on the lid of these jars. After a while, it started to grow on me and I enjoyed looking at these jewelry pieces. One of the jars has slowly collected all of our favorite shells that my family has found on our beach walks while on vacation. 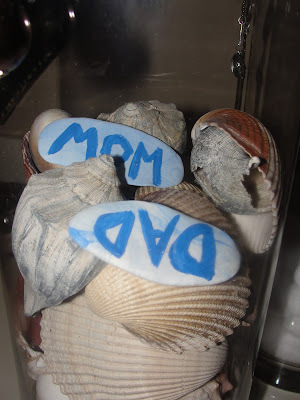 My oldest daughter made these little clay "Mom and Dad" treasures and of course they went in the jar too. I love looking at them while I get ready for the day. These are the kinds of things that make me smile and bring me great joy because there are memories attached to these treasures. 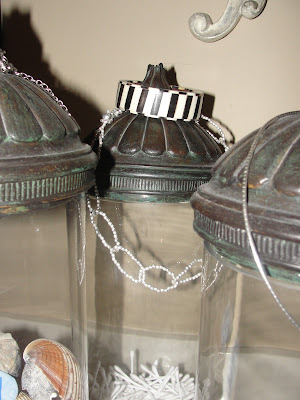 My favorite bracelet that I purchased while visiting my family in Africa a couple of years ago has also landed on the lid of one of the jars. I wear it ALL the time. 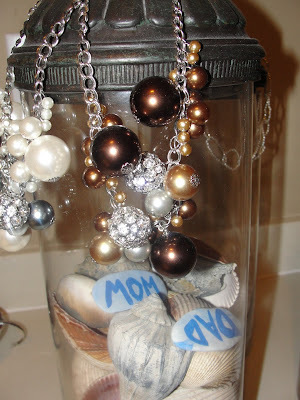 Why not put your jewelry items out where you can enjoy them, they make a great home accessory! Ruthie tip of the day: Necklaces make great curtain tie backs. 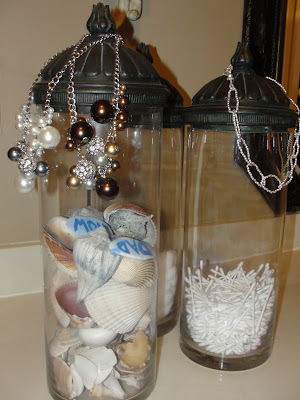 I've used pearl, wooden & shell necklaces to enhance the drape and make an unusual statement. Do you have a favorite place to hang/place your jewelry? 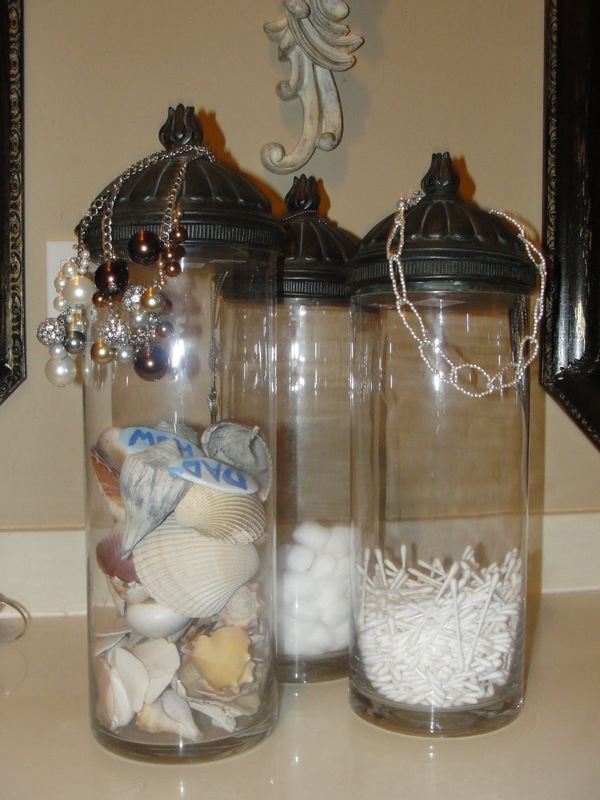 Visit DecRenew Interiors for more ideas and before and after pictures.